A 28ft, Lamb and White lifeboat built in 1868 and provided by the Isle of Wight Sunday School Lifeboat Fund was put on station in 1870. In 1884, this lifeboat was transferred to Shanklin. In 1883, the RNLI had decided to open a station at Totland and a boathouse with a slipway was constructed. In 1884, the 37ft 'Charle Luckombe' was put on station. 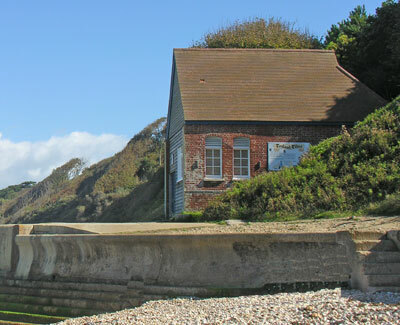 The station closed in 1924 when a motor lifeboat was station at Yarmouth, the sheltered waters of Yarmouth Harbour were considered to be more suitable than the Totland Bay station.